• Most widely used technology. • Lower cost - faster return on investment. • More system and tag choices than any other technology. • Maximum value for your retail loss prevention dollar. SenTech's G2 product line includes both Acousto-Magnetc (AM) and Radio Frequency (RF) technologies. 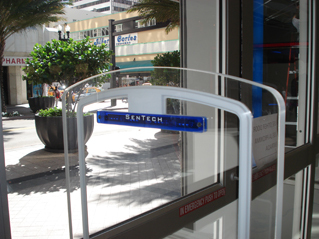 • Many styles available including acrylic, advertising, and door mounted antennas. 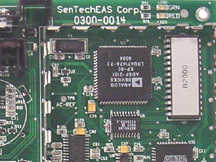 SenTech has thousands of EAS systems installed worldwide. Click on the link below to view some installations.